Mom and I decided to make applique wall hangings this year while we were on vacation. We planned our project, purchased our fabrics and got started as soon as we arrived at the beach house... well, mom got started at least. As usual, I got started on ten other projects then proceeded to finish none of them. More about this problem of mine in a future post. This is mom's wall hanging. Our design was inspired by Kellie Wufsohon's Family Tree pattern. Kellie's blog, Don't Look Now, is filled with whimsical quilting and applique projects and includes a link to her on-line shop where her patterns can be purchased. 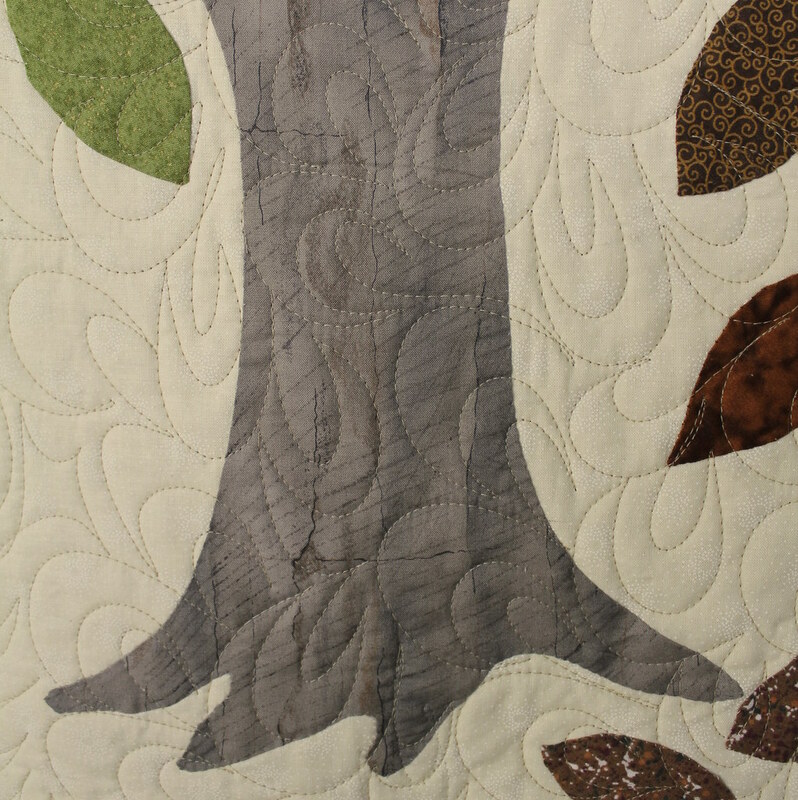 This Tree for all Seasons wall hanging measures 40" in width, and since it is so much larger than than Kellie's original 20" x 20" pillow pattern, mom and I were able to add much more texture and complexity to the shape of the tree trunk. We both use a freezer paper applique method with turned under edges so needless to say, the trunk took some time to fabricate and place. I love how mom squared off the distribution of her leaves. I think that this made the design all that much more whimsical. 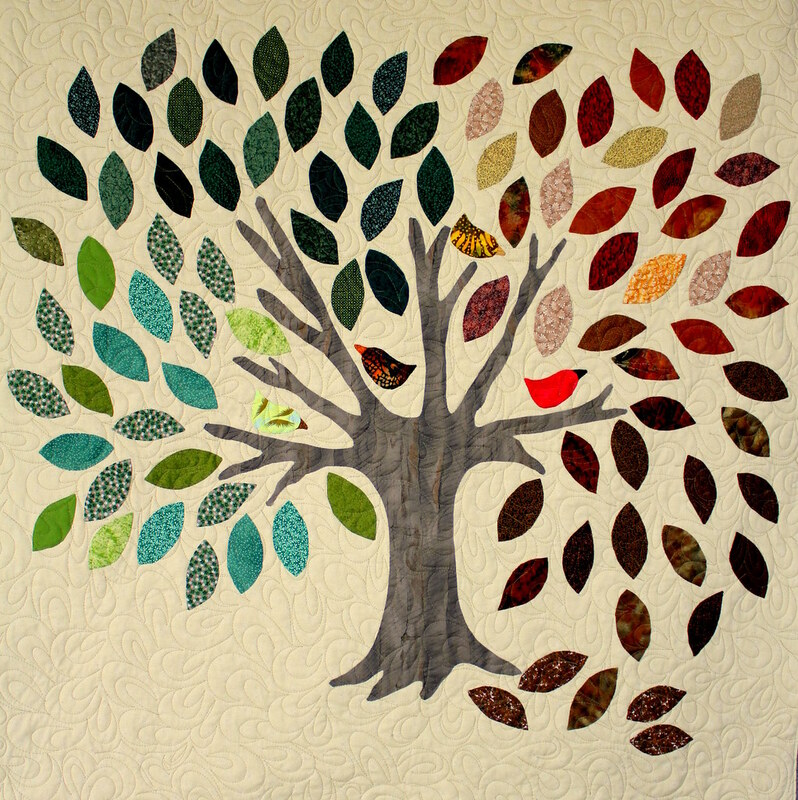 I also love how she sorted then arranged the leaves in seasonal order, evoking the quilt's title. The lower left leaves begin with spring colors, then the seasons proceed clockwise ending with winter on the lower right. Mom is a traditional hand quilter but had no trouble allowing me to continue to hone my long arm skills on her creation. 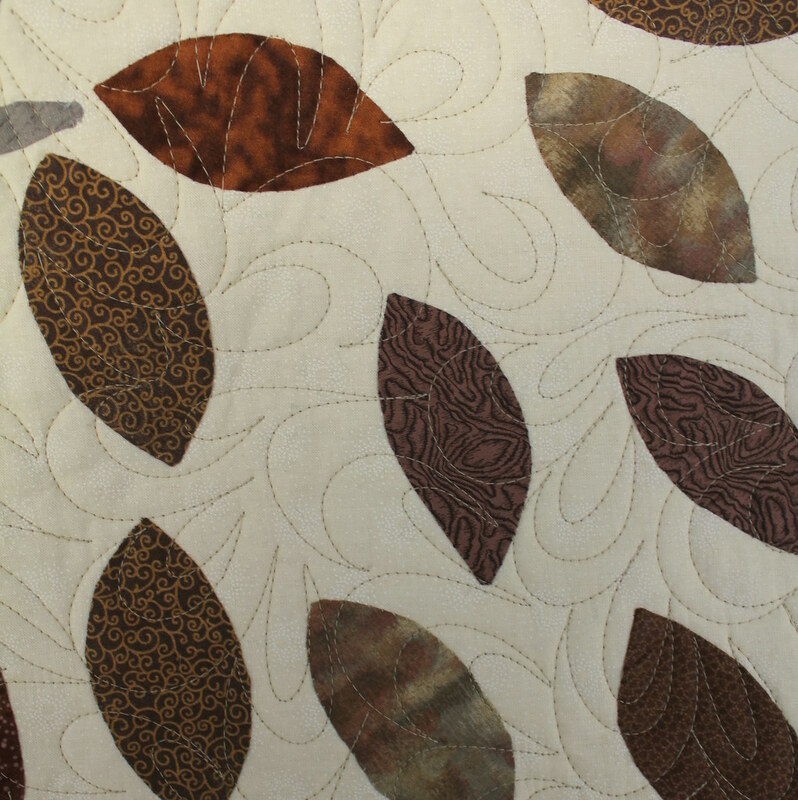 We thought that an overall, neutral colored quilting pattern would enhance the hanging and I think that we made a good choice. I continue to get more and more opportunities to use my HandiQuilter HQ18 and continue to be pleased with the results. Mom is too! I am not a quilter but I love this. I love the colors, design and warm feeling it gives. I wish I could just buy it from you, ha! so pretty! How cool that you share this passion with your mom. Gorgeous! I see you have an Etsy shop, but this isn't for sale, right?